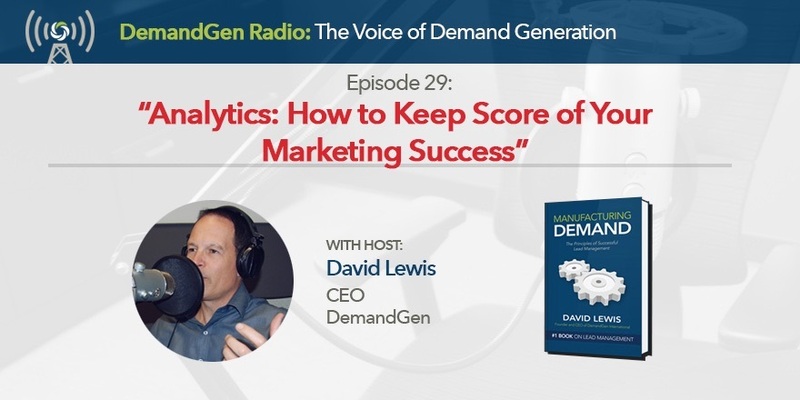 David Lewis, CEO of DemandGen discusses digital marketign methods and technologies for driving growth. Do you know why sales gets the big bucks? Because revenue can be directly attributed to their performance. Can marketing’s performance be tied to revenue? Finally the answer is yes and it’s essential to do so to change marketing’s perception from cost center to revenue generation. In this episode, David explains what marketing should be measuring and the process for establishing your metrics and sharing them with the organization. Copyright 2019 DemandGen International, Inc. All rights reserved.